Thai tea is a spicy, satisfying beverage with flowery tones and a creamy texture. Served hot or over ice, the delicious brew is made with a strong black tea base and blended with a combination of aromatic spices, including star anise. Star anise produces a unique bouquet and flavor that is similar to licorice. It is commonly used in baking, as well as for enhancing the flavor of tea. Referred to as "cha-yen" in Thailand, the tea is typically mixed with sugar or honey and condensed milk to create a smooth, sweet beverage. Other milk-based products, such as cream, coconut milk, half-and-half, whole milk, or evaporated milk, may be substituted or added to the sweet condensed milk. This tea may also include tamarind seed, orange blossoms, lime, almonds, cinnamon, vanilla, clove, lemongrass, cardamom, and/or ginger. Thai tea also commonly contains food coloring to create a yellow- or orange-colored liquor. When not consumed as an iced beverage, the tea is an appealing hot beverage served at breakfast. Variations of this tea are common all over the world and consumption is especially popular in eastern countries. Some cultures drink this tea without milk but with sugar. Decaffeinated versions can be made with decaffeinated black tea or rooibos as the base. 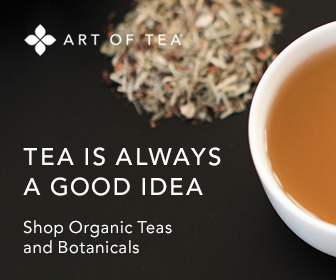 As with any blended tea recipe, the ingredients will vary from place to place, so no two glasses will taste the same. Often, family recipes are passed down from one generation to the next. Thai tea can be made from scratch or by purchasing the spices or tea premixed for easy preparation. If you want to make your own Thai blend, following is a general recipe that you can adapt to your liking. 4 tbsp. of loose-leaf black tea, such as Ceylon, Assam or Keemun. You may substitute 8 tea bags of black tea for the loose leaf tea, if you prefer. If you want a decaffeinated tea, use 4 tbsp. of rooibos in place of the black tea. Heat water to a boil and immerse tea leaves (or tea bags) and spices. Steep for five minutes. Strain the brew and/or remove the tea bags. Stir in honey or sugar until dissolved and add the sweetened condensed milk until completely blended. Add more ice if needed, and then drizzle with coconut milk , whole milk, or cream. Garnish the glasses with fresh mint leaves. Serve immediately and enjoy. More Thai tea recipes may be found online, including those that use a specially blended tea mix to make preparation easy and save time.